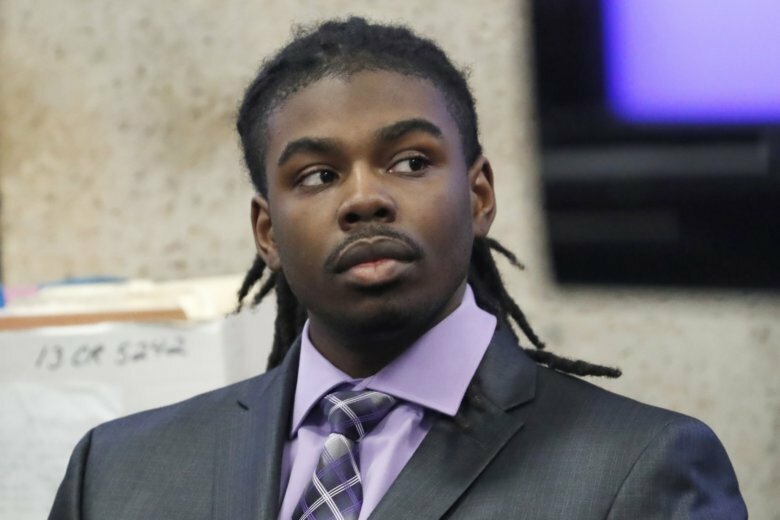 CHICAGO (AP) — A judge on Monday imposed an 84-year prison sentence on a Chicago man who fatally shot a 15-year-old honor student a week after she performed at President Barack Obama’s 2013 inauguration festivities. Ford, a former prosecutor, said it was Ward’s own words — both at his sentencing and in a videotaped statement to police after his 2013 arrest — that sealed his fate. “What you have noticed in his remarks was a complete absence of empathy,” said Ford, standing at the bench as he delivered his remarks often in a raised voice. Pendleton became a symbol of Chicago’s gang violence when she was caught in the crossfire of a gang feud she had nothing to do with. Obama spoke of her death during his 2013 State of the Union address, and then-first lady Michelle Obama attended her funeral. Pendleton’s mother and brother gave victim impact statements at the sentencing hearing. “Hadiya is serving a death sentence . and the whole family is doing life as a result of her death,” Cleopatra Cowley said. Nathaniel Pendleton Jr. said he still regrets not being able to come to his sister’s aid, although he was not with her at the time of the shooting. “I still to this day have not been able to forgive myself, and sometimes I don’t think I ever will,” he said.